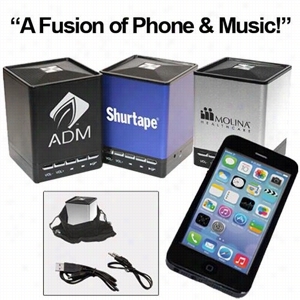 Power your music with this Bluetooth Speaker! Quality sound in a small form factor that plays your music or other audio from a Bluetooth enabled device or via the 3.5mm audio input, making it compatible with just about anything that plays music. 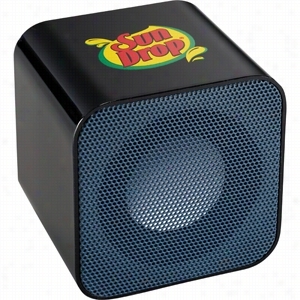 Rechargeable speaker is perfect for traveling or in an office setting. Bluetooth working range is 10 meters (33 feet). Manufactured By Leeds. The Buoy Bluetooth Waterproof Speaker produces crisp and clean sound no matter the location. Stick the Buoy waterproof speaker in the shower or toss it in the pool to enjoy your favorite music anywhere! The product design allows for the speaker to be submerged in water or happily floating on top of it with no interruption to the sound. With a built in mic and music control the connected device can remain in a dry area. The battery life indicator will appear on the connected device. Includes suction Cup to mount in the shower or any flat surface. Material: ABS Plastic. Manufactured By Leeds. 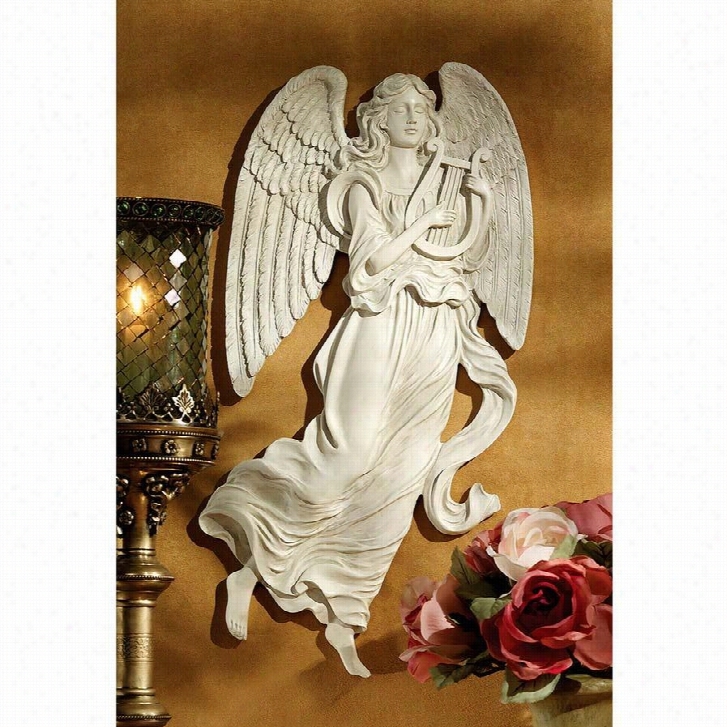 Heavenly Music Angel Wall Sculpture. You'll have an angel over your shoulder with this tranquil guardian wall sculpture who lifts her harp to celebrate the pure joy of music. Cast in antique stone-finished, quality designer resin, our over foot-and-a-half-tall wall sculpture provides peaceful blessings with her soothing presence. Another Toscano exclusive! 101/2"Wx1"Dx191/2"H. 7 lbs. 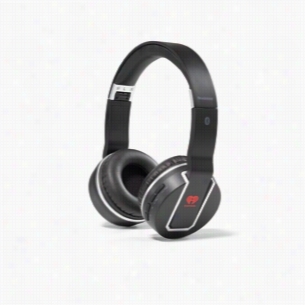 Wireless Bluetoothâ„¢ V3.0 EDR headphones allow you to listen to your music or phone conversation. Microphone for crystal clear conversation. Press button on your Bluetoothâ„¢ ear Cup to switch between calls and music without disconnecting any of your portable devices. Stream audio from any Bluetooth-enabled device up to 10M/33 feet away. Offers up to 8 hours of talk/play time (fully charged). For situations where your Bluetoothâ„¢ is not permitted, you can use the 3.5mm audio cable for a direct connection to your portable device. Includes USB charging cable, neoprene pouch for storage and folds up for easy transport when not in use. Timbre Bluetooth Speaker Camera Shutter. If creative and modern concepts catch your eye, then this is the item for you! The Timbre Bluetooth Speaker and Camera Shutter Combo is one of the best-selling tech combo items on the market for gift giving! With over 1 hour of nonstop music play time and a built in camera shutter, this is sure to be a hit! Perfect for Corporate Gifts, Company Picnics, Birthday Parties, Holiday Events, Grand Openings and Tradeshows! 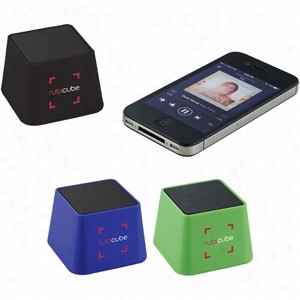 â€¢ Portable Bluetooth speaker with a built-in camera shutter. 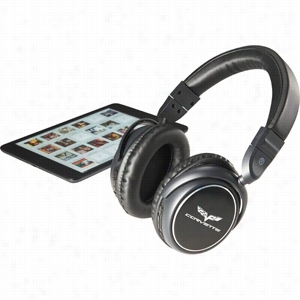 â€¢ The device includes an internal rechargeable battery which provides over 1 hour of nonstop music. â€¢ The remote shutter provides a hands free photography function after syncing to your smartphone. 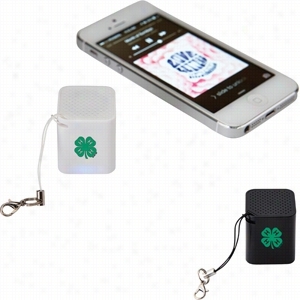 â€¢ Speaker can be synced by Bluetooth. â€¢ Charging cables included. â€¢ Media device not included. â€¢ Material: Plastic. Stream music from your smartphone, tablet or any bluetooth enabled device or take a call mid-playlist with sleek, comfortable wireless headphones. Bluetooth operating distance of up to 30 feet. Mini jack cable included for optional, non-bluetooth plug-in capability. Folds up for easy storage and travel. Integrated buttons allow you to answer calls through the headset, adjust volume and skip music tracks. Charging time: 2-3 hours after first 4 hour charge. Playback time: approximately 6 hours. Drawstring storage Pouch and Brookstone box included. Fabric/Material: ABS Plastic. ifidelity Chromia Dual Driver Earbuds. The ifidelity Chromia dual driver earbuds are the premium choice when it comes to earbuds. With dual drivers in each earbud the music comes across crystal clear. 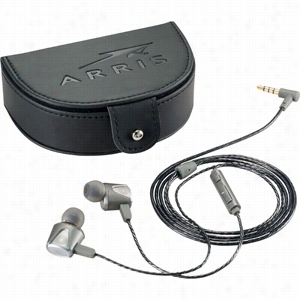 Each earpiece contains two separate speakersâ€”one to handle the high and mid frequencies, and one to handle the bass. They also come packaged in a premium leather Case that only adds to the premium look and feel of the Chomria dual driver earbuds. With a built in music control and mic these earbuds have all of the features that you would expect in a premium audio piece. Material: Metal Alloy. Manufactured By Leeds. PHUSIC" Bluetooth Mini Speaker with Speakerphone Function. 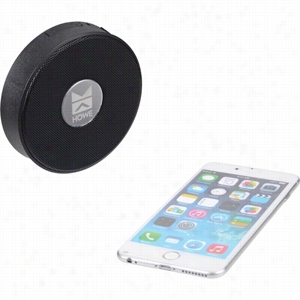 Our "PHUSIC" Bluetooth mini speaker system enables you to play your favorite music, movies, and video from any Bluetooth enabled device (iPhone, iPad, Android, iPod, etc). You can conveniently listen to your MP3 music while controlling the playback functions of volume, track selection, and pause from the "PHUSIC" speaker unit. When you receive a cell phone call, you can answer and speak into the PHUSIC instead of reaching for your phone. You can truly "Rock, Walk, and Talk!" up to 50 feet from your phone. 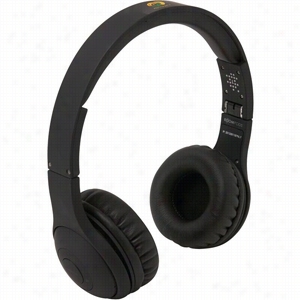 Each "PHUSIC" comes with a black drawstring storage pouch, charging / audio cord and USB cable. Operates on one rechargeable Li-ion battery - included.